Authorities in Colorado are having to get creative to solve street-sign thefts. The state's Department of Transportation noticed that mile marker number 420 was repeatedly stolen from Interstate 70, reports the Denver Post. So instead of posting cameras or nailing the signs harder into the ground, the agency went with an elegantly simple solution: changing the numbers. A sign reading "419.99" appeared recently at the 420th mile of the Colorado's I-70. Although the photo of it circulating online may look like a hoax, the department confirmed that it is 100% real. It's just one of many changes to come recently to the state that may soon be a destination for marijuana tourism. "Obviously people steal these signs," spokeswoman Amy Ford said. "In the past, if a sign was stolen too much, we wouldn't replace it. This is sort of an innovative way for us to keep the sign there." 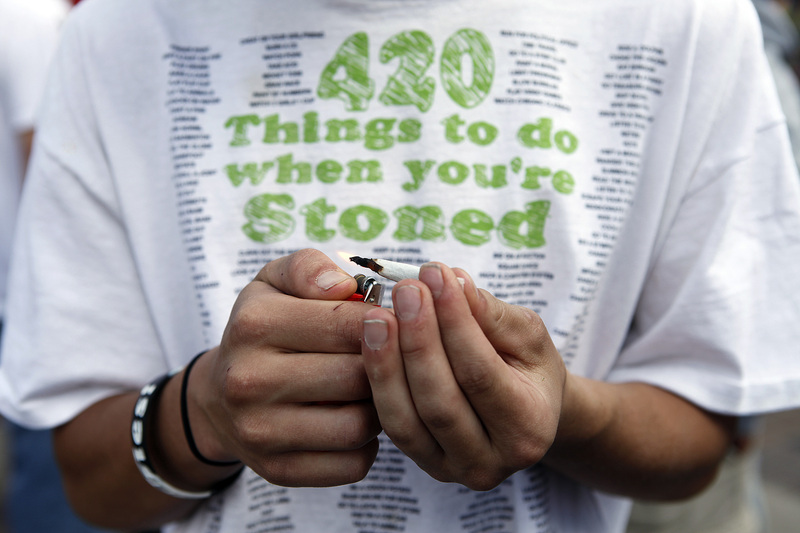 The origins of "420" as a slang term for weed are murky, but the association has been around long enough that the mile marker didn't stand a chance. The Department of Transportation did not clarify whether thefts of the sign had increased since the state legalized medical marijuana in 2009, or since Colorado became the first state to allow recreational weed this year. Two other highways in the state that run more than 420 miles simply avoid signs at that point entirely. And it's not just 420 that's in danger: the department has also replaced one mile marker number 69 with one reading "68.5."